Emily was referred to us by a co-worker. The co-worker was nice enough to send Emily the wedding photos from Eric and Andrea's Cascade Hill Country Club wedding earlier this year and after looking through our work connected with us. 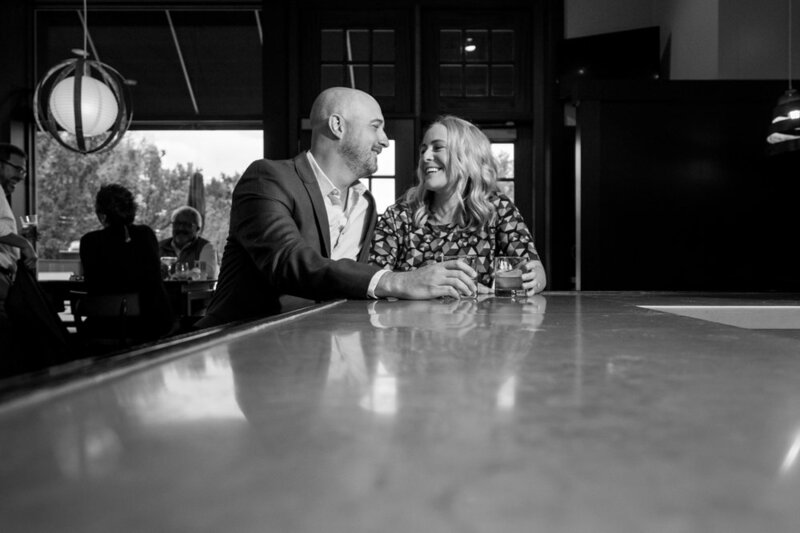 During our initial phone call I was able to find out that she and Jeff had their first date at Butch's Dry Dock in downtown Holland. 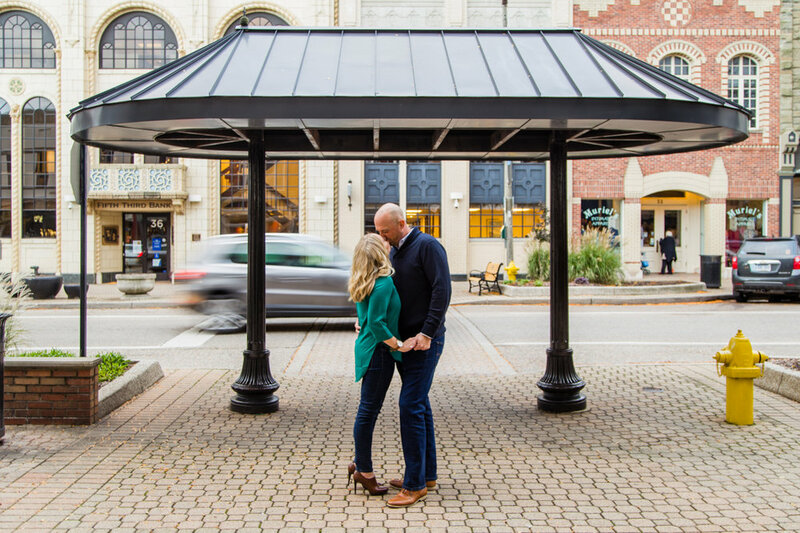 They were hoping to use that specific location along with the downtown area as the backdrop for their engagement photos. We were happy to travel out to meet them and during our time together, we realized how fantastic these two are together. They met while at work, went on a lunch date and now are getting married in September 2017. 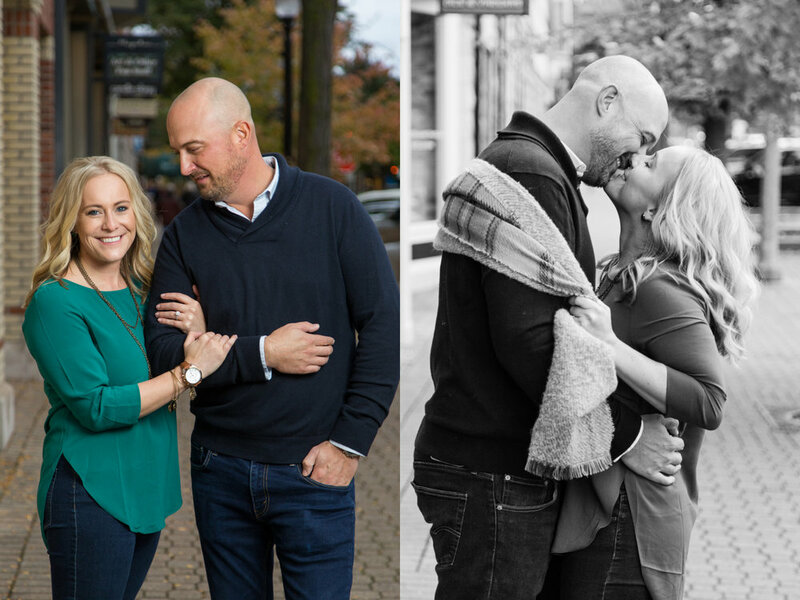 Their session was very personalized for these two as they spent quite a bit of their relationship in Holland when first dating (though they now live in the Grand Rapids area). It even included a final stop to Skiles Tavern in downtown Holland where they serve some of the best thin crust pizza we've had to date!